Note: This feature article appeared in the May 1999 issue of Hinduism Today. CRIES OF SUPPLICATION TO CLEANSE misdeeds. Milk pots on the head and spears through cheeks. Shouts of "Vetri Vel Muruga!" piercing the air. 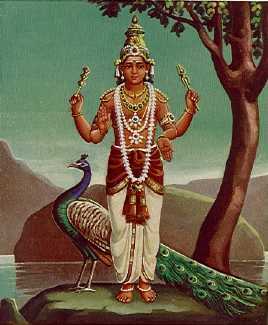 That's what usually comes to mind when thinking of the sprightly God Karttikeya, also known as Skanda or Murugan. But a conference? Yes, that can happen, too. 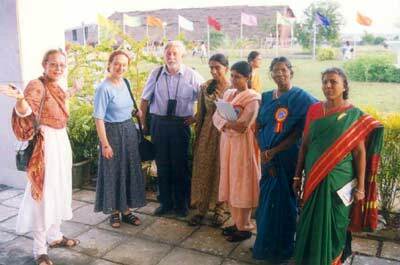 The first International Conference on Skanda-Murugan drew 140 participants from across the globe to its host, the Institute of Asian Studies near Chennai, India, in late December, 1998. For four days these specialists sought to remove some of the obscurity of this mysterious God. "It was unique," recalls Sri Lankan delegate Vimala Krishnapillai of the University of Colombo, "in being the first national or international meeting centered on a single Hindu deity." It's part of a resurgence in recent months of popular interest in Tamil Nadu, Patrick Harrigan, Institute secretary and conference architect, told Hinduism Today. "By 'interest' I mean a movement of both urban and rural Tamils towards deeper involvement with Murugan. Typically, urban devotees are now attracted to major ancient temples which they feel connected to, or often they become active members of pilgrimage groups or Tiruppukal Sabhas [meetings to sing songs by Saint Arunagirinathar]." The revival is due partly to influential bhaktas like the late Kripananda Variar, and, yes, to the Indian cinema. Murugan appeals to all levels of Tamil society--He is both Subrahmanya to high-caste, Sanskritized Tamils, and Kadavul Murugan to all other castes. "If you ask me," says Harrigan, a longtime devotee, "He Himself is engineering it as part of His divine strategy for this Kali Yuga. Far from being over, the revival has only just begun." It's so prominent that India Today magazine is doing a special story. 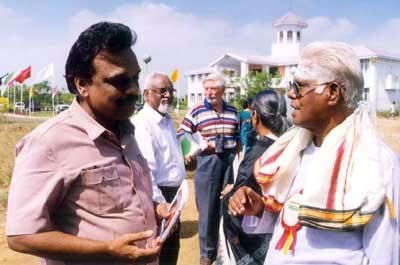 They interviewed Harrigan on the conference and for leads on prominent bhaktas in the Chennai area, including those making CD-ROMs about Murugan temples. God Karttikeya is mystically known as the first guru and Pleiadean master of kundalini yoga, born of God Siva's mind. His dynamic power awakens spiritual cognition to propel souls in their evolution back to God. The lancelike vel wielded by Karttikeya embodies discrimination and spiritual insight, able to remove darkness from the mind. All such darkness was certainly removed as elephants and kavadi dancers blessed the conference inauguration, infusing the atmosphere with festivity amidst colorful flags, arches and pavilions. Vimala noted that "Patrick worked so tirelessly to make it successful, I felt he was animated by Murugan Himself. It was all vibrant with piety." As night fell, the bharata natyam performances depicted Murugan's divine career. Minister S. Thondaman of Sri Lanka brought 24 scholars, the largest foreign delegation, and A.V. 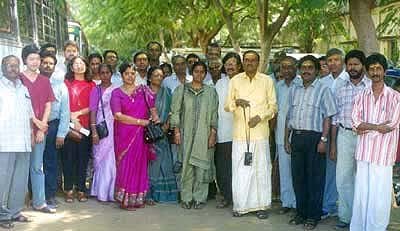 Chettiar, Mauritius Vice-President, also brought a large group. Plenty of non-Tamils too came or sent papers from nations such as Japan, Singapore, USA, UK, France, Italy, Poland, Israel, Finland, Brazil and Australia. South Indian industrialist N. Mahalingam, welcoming everyone, observed that Murugan temple worship is a global phenomenon. A.V. Chettiar affirmed long-term cultural ties between Tamil Nadu and Mauritius, noting that with its 108 Murugan temples, worship in Mauritius is as widespread as in Tamil Nadu. Religious conferences are sometimes painfully scholastic. But this one took a different path. As word circulated, ranks of enthused Murugan worshipers signed up from India and abroad, setting the stage for a merger of intellects and humble bhaktas. Take Valli Malai Balananda Sadhu, whose mystical knowledge helped illuminate Murugan, a more ethereal, subtle God than Ganesha. Affirming that Murugan is "alive and well in the hearts of His devotees," Balananda Sadhu declared the conference to be the "work of Murugan" and prayed He will end the "depravities of the Kali Yuga."  As days passed, Murugan research bubbled forth. 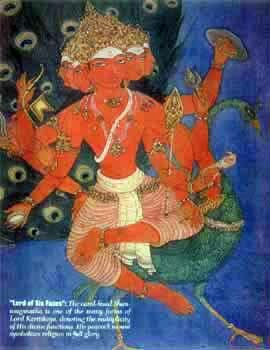 Ancient history and literature came first, such as Iravatham Mahadevan's proposal that Murugan is the survival of a proto-Dravidian ancestor-deity named Muruku, who later evolved into a warrior-god. Alexander Dubianski of Moscow State University examined Murugan's space and time associations, and S. Pathmanathan traced historical roots of the Hindu-Buddhist interaction in Sri Lanka. In contrast to the Murugan of South India--a purely Tamil God, in Sri Lanka He is revered by Tamil Hindus and Sinhala Buddhists, who both possess lore on Murugan and His abode at Kataragama. Conference delegates included the Vice-President of Mauritius and Sri Lankan Minister Thondaiman (centre) among others. The Conference was an occasion for socializing also. Delegates participated in a post-Conference tour of Aru Padai Veedu Temples, including Palani. Academics didn't dominate. Swami Sankarananda of Chennai lauded Murugan's limitless compassion and Sadhu Ram gave insights into Saint Arunagirinathar's devotional songs. Acharya S. Nilamegame, a Mauritius yoga teacher, described Murugan worship in Reunion Island. In the technological arena, Chennai resident Jayalakshmi Sakthivelan reported that her interest in Hinduism "has motivated me to develop a multimedia CD-ROM on Murugan" and His temples. It's the first in an ambitious plan to produce 150 CDs on Hinduism. T. Senthilwerl gave a deep perspective in his presentation on "Pilgrimage and Mystical Practice," reminding all that "Devotees who are pilgrimaging to fulfill vows are often underestimating Murugan by asking Him for small worldly favors. They should go with the thought in mind that it's possible to meet the Lord in person here in this world, especially at sacred places and sacred times. Also, in principle, one could encounter Him anywhere and anytime." Harrigan noted that this exalted point of view is difficult for those modern scholars--and even devotees--who have been influenced by Western education and values. Vimala told Hinduism Today the interacting of savants and devotees was fruitful. "Scholars presented research, while devotees revealed higher truths and mystical secrets. The confluence of head and heart was indeed remarkable." Lady author Bala Rajes, from London, reported it to be "spiritually uplifting." 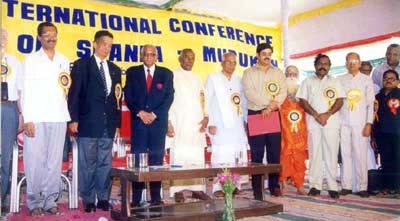 Ending the conference was the creation of an International Association for the Study of Murugan-Skanda and a decision that Sri Lanka would host the next meeting in 2001. Vimala was queried as to whether Murugan was generally regarded by delegates as a real God, or just an evolution of a historical person. She reported that out of 45 research papers she heard (a total of 135 were presented), 70 percent extolled Murugan as a divine God. "To Saivites," she shared, "He is no different from Siva. I also believe God is immanent and manifests in whatever form one adores Him." She said 25 percent did not touch on divinity, and five percent regarded Murugan as a historical figure--a human who with time became deified. 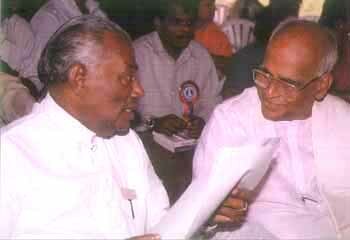 Institute director John Samuel opined the view that most scholars, including himself, believe Murugan was elevated from a historical person. The American-born Harrigan--whose "unabashed" devotion to Murugan raised eyebrows among "traditional" scholars at Berkeley University in California--feels differently. "For me, Murugan is not only my ishta devata (preferred deity) but also my supervisor and boss, my Supreme Commander if you will. He is very real and efficacious. This has sustained me for years and now it's beginning to bear fruit in the form of this conference, for instance." Harrigan is an expert on Murugan's famed shrine at Kataragama, Sri Lanka. To balance the scholasticism, 70 delegates happily made a four-day pilgrimage for darshan of Murugan's Aru Padai Veedu, His six principal abodes in Tamil Nadu (a major trek). A scholar who joined the temple tour voiced more spiritual doubt--which Samuel and many academicians seem to have--saying he wasn't interested in psychologically-induced states of mind passing off as mystical experiences emanating from an unknowable source. But many foreign delegates, seeing the ancient temples for the first time, said it was their most memorable part of the conference. Bala Rajes reported that "Darshan at Tiruchendur created an atmosphere only people with devotion to Murugan can understand. Thousands of women, men, children, abled and disabled were all there to worship mighty Murugan. The rhythmic crush of waves from the sea, and cries of "aro hara" by devotees, mingled in harmony as God united man and nature in front of Him." Harrigan says this intention underlaid the whole event: if there is a major conference bringing together Murugan scholars and devotees, then in principle He must also be present. "So, we took trouble to provide tasty meals and attractive entertainment. Because if we don't see the Lord among the crowd, we are convinced that He is still present. The conference is one small part of the His master campaign--whatever it may be. Not only I, but many devotees, viewed it on this level. The recent surge of interest in Murugan will tend to reinforce this view among bhaktas at least, if not among the media at large." This article appeared in the May 1999 issue of Hinduism Today.